Lou Reed earned the prestige he holds as an arty badass of rock’s senior order. His best albums—Berlin and Metal Machine Music, chief among them—endure as testaments to the value of an ill temperament, intelligently applied. Once an undergraduate student of Delmore Schwartz, Reed has always hid a literate sensibility beneath the leathery surfaces of both his music and his public image. Still, the legitimacy of his standing as a canonical figure in rock does not legitimize something as feeble and malformed as Lulu, the new concept album he made with Metallica. The cover is gorgeous, the music watery spew. If you’re Lou Reed, you’re entitled to spit, but not dribble drool like this. Under commission from Robert Wilson several years ago, Reed wrote a set of lyrics for a musical adaptation of two dramatic paeans to bohemian counter-morality written by the German playwright Frank Wedekind around the turn of the last century. 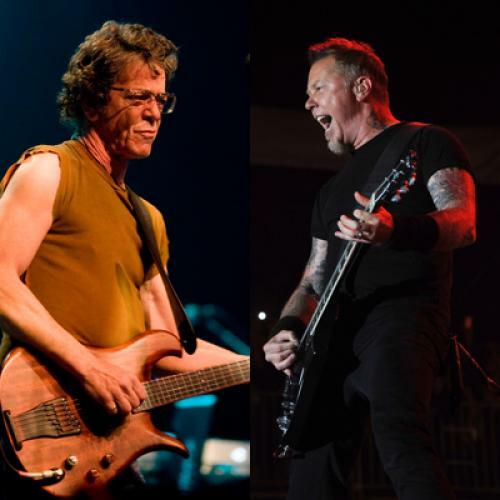 After the production ran its course in Europe, Reed got the idea of resetting the lyrics to new music by Metallica, with whom he had performed memorably at an event for the Rock and Roll Hall of Fame. According to accounts by the band in interviews intended to promote the new CD, Reed and the group got together, ostensibly to rehearse, and ended up making the music and recording it almost spontaneously, in something close to real time. The results hardly justify the process. Reed chants his rambling words over ill-fitting music that sounds like a good cover band trying and failing to emulate Metallica. The problem is not the obvious one of a mismatch of singer and band. There have been a great many stranger collaborations in rock, from Dylan and Curtis Blow on “Street Smart” to the Jonas Brothers and Common on “Don’t Charge Me for the Crime.” The failing of Lulu is Lou Reed’s. He has been coasting on that prestige of his—the status that he has sustained, by winces and groans, through the meticulous projection of his archaic, street-wise poet image—for so long that he has lost track of the importance of making actual poetry, streetish or otherwise.